Torimeshi Toritobunten is located outside of Tsukiji Market where we (general consumers) could enjoy eating and drinking at some sea food restaurants. Inside of the Tsukiji Market is the place where sea food suppliers purchase the sea foods. The suppliers can purchase various kind of sea foods with an auction style in early morning. We can also see how The Tuna Auction is usually done. 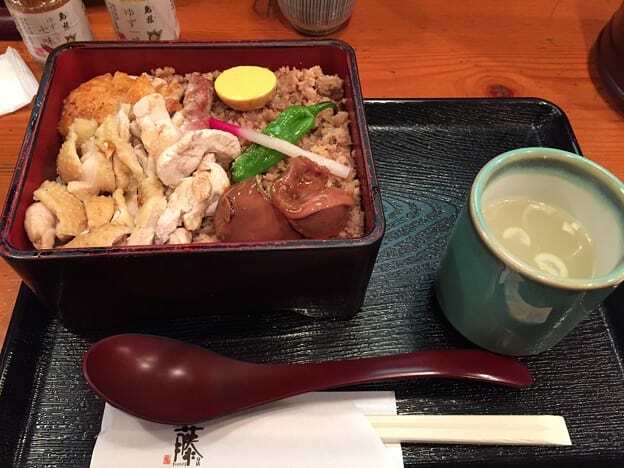 Please check out our article “Best 5 delicious rice bowl dish in Tsukiji market” if you’re interested in eating donburi (rice bowl dish) in Tsukiji! Torimeshi Toritobunten is located outside of the Tsukiji Market. It usually opens from 7:30 am to 14:00 pm. So we recommend you to go there earlier. Although it is often crowded, it wouldn’t take so long to get in. 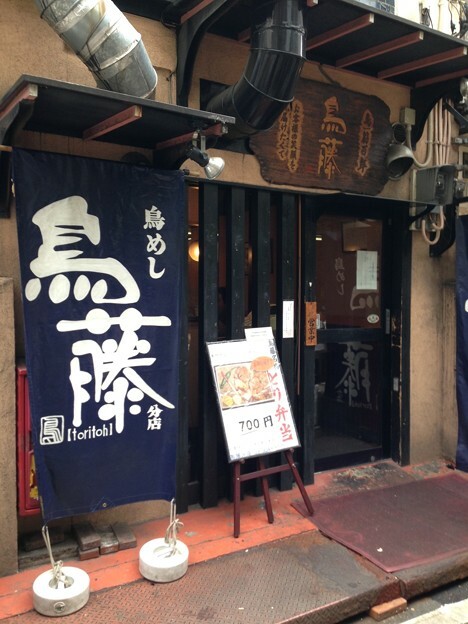 Toritobunten is Chicken Restaurant which has a 100-year history in Tsukiji and managed directory by Chicken Specialty Shop「Torifuji」.You can taste the chicken ingredients used to the fullest to make the dish delicious while having the Oyako-don for example. There are counter seat and table seating in the restaurant. You can enjoy seeing how cook make the dishes at the counter seat. It is very maser of craftsmanship. Torimeshi Toritobunten’s popular menu is Oyako-don and Bonjiri (the tail part)-don. 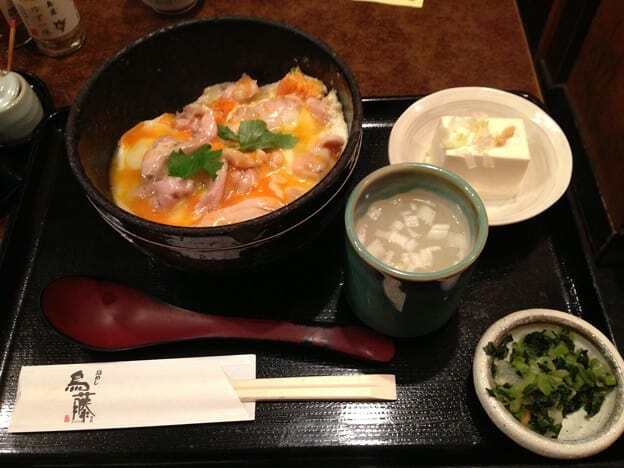 Don (Donburi) is Japanese style dish that we fill a larger bowl with rice and serve the chickens on it. Oyako-don is very popular also among Japanese people. This is the Don with chicken and eggs boiled with sweet soy-sauce-based sauce. Don menu includes chicken broth soup. This is also popular as a simply good taste. Oyako-don is made of Daisen Chicken. The taste of broth is made from chicken soup and go very well with rice and Daisen chicken. 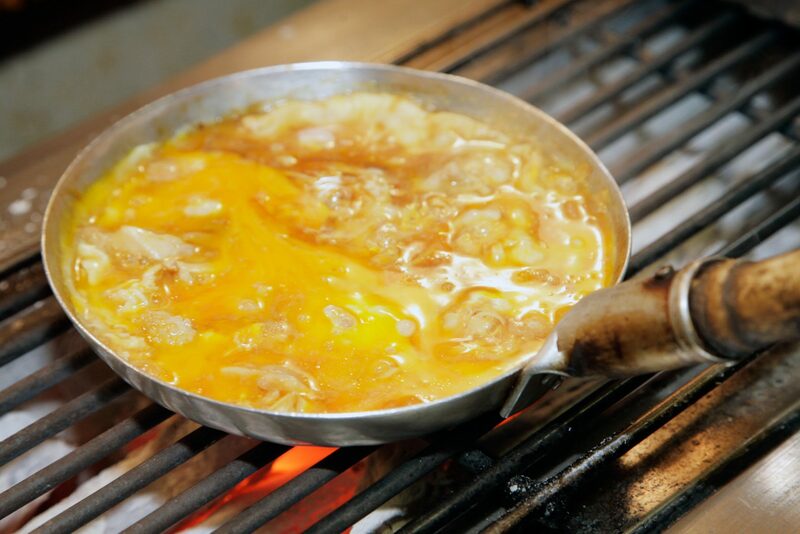 The eggs is divided into yolk and white, then put into the pot. So it makes softer texure. Toriju contains full of Chicken’s good flavor. We fill the bottom of square pot「Ju」with rice and put 5 different parts of chicken on there. Teriyaki of chicken legs, Soboro of minced meat, liver and Sunagimo, Kinkan (eggs before ovulation) is arranged with appropriate tastes. Access: 3 min walk from Tsukiji station on Tokyo Metro Hibiya Line or Tsukiji-Shijo station on Toei Oedo Line.